Sinking Fund: What, Why, How? Sinking fund? 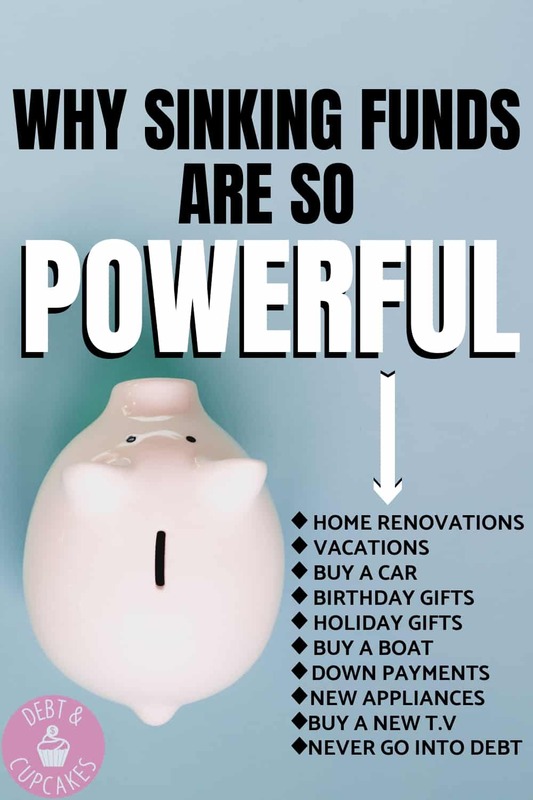 What the heck is a sinking fund? It sounds sorta scary, right? Well, a sinking fund is a long-term saving strategy to prepare you for an upcoming purchase or expense. If a sinking fund is a new concept to you, fear not… it’s not an overly common concept to many. Sadly, saving money in America isn’t a common thing. 40% of American’s reported they could not cover a $400 emergency, and the median American savings account has a balance of $4,830. Although it’s nice to see that the median savings account across all American households is at $4,830, it’s not exactly a lot of money when you consider that the average American household has over $137,000 in debt. Factor in the need for an emergency fund and you’ll quickly realize that $4,000 isn’t going to cut it. Related: Emergency Fund: How Much Should You Save While In Debt? You know the basic definition of a sinking fund, but how does this apply to your life? Sinking Fund – What is that? Sinking Fund – Why Do I Need One? Sinking Fund – How Do I Get Started? Sinking Fund – Where Should I Keep My Money? Like you read earlier, it’s a savings strategy to prepare for an upcoming purchase or expense. Diving into this further, it could be considered a line item on your budget each pay period to prepare for an expense that may be months or years away. 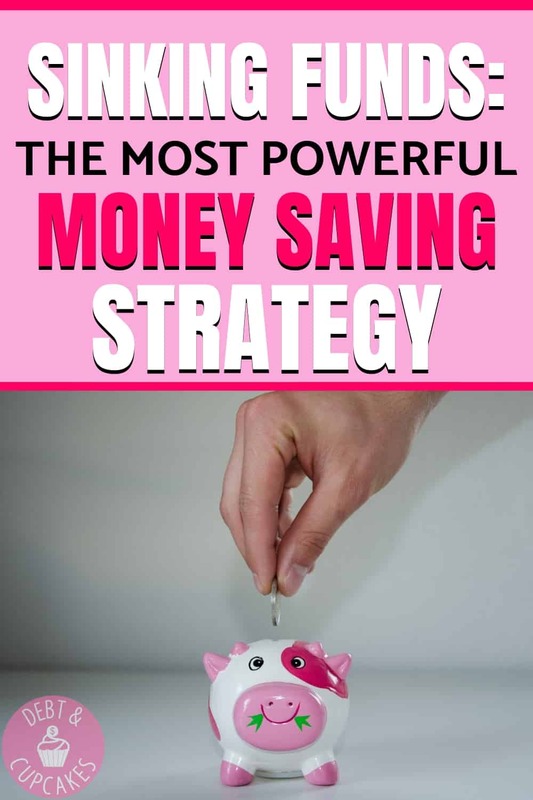 It’s not a general savings plan, it has a very specific use and time line. So, you’ll have 18 paychecks (9 months) to save up $1,800. This means that your holiday sinking fund will be $100 per pay period. Your budget will have a new line item. Holiday sinking fund, $100 per pay. Related: Budgeting For Beginners Made Quick & Easy! The concept of a sinking fund is pretty simple, but why you need one is much deeper, both financially and emotionally. Although your 2000 Honda is a solid reliable car, you know you’ll most likely need a new car in two years. Each month you think about the coming need, but hey… two years is a long time from now and you’re sure you’ll be in a better financial position then. So, you put off saving… for now. Months go by and before you know it, your vehicle finally breaks down and it’s time to replace that old reliable Honda. It’s been two years and your financial situation remains the same… unprepared. Begrudgingly, you head to the dealership and finance a new ride and head home with a nice, new monthly payment. Now, let’s imagine that you started planning your sinking fund back then. You know you get 26 paychecks a year and you have two years to save up $10,000. You add a vehicle sinking fund line into your budget and start putting aside $193 a pay. Months and years pass by and you continue to diligently save. Little by little, you add to your car sinking fund. As time passes, that sinking fund slowly fills and before you know it… You’re at $10,000 and ready to make a vehicle purchase, debt free! $10,000 sounds like an overwhelming number to save, and you’re right…$10,000 isn’t a number to scoff at. When you take that $10,000 and divide it out by 52, or even 78… it becomes a much more manageable number to work with! That’s the power of a sinking fund. 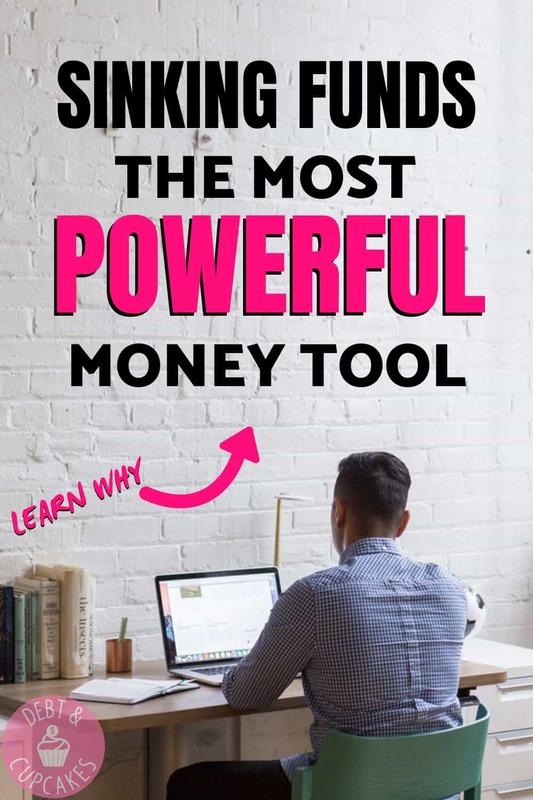 It not only prepares you for a potentially huge financial purchase, it helps you emotionally conquer massive financial battles you never knew possible! Great, you’re still reading! So you’re into this sinking fund idea and that’s awesome. Getting started with a sinking fund is easy. Ok, well…plan B, right? You probably have a pretty strong idea as to what you’ll need to buy this year. The holidays, birthdays, planned home repairs, vehicle replacements… among other things. Each item will have it’s own sinking fund line on your budget. Once you know those specific items, put them down on your budget. Holy cow, right? That sounds impossible! Fret not my savvy personal finance friend. The power of the sinking fund shall be apparent. You’ll need to save $10,200 over the next 12-24 months. We get paid bi-weekly and that equates to 26 checks per year. Your total budget per pay is $252. That $252 is going to cover $10,200 worth of upcoming expenses. A small amount of planning and discipline can make even the largest mountain climbable! Your sinking fund isn’t an investment. So, it should be in a location that you have access to it. This would be a general savings account which is completely separate from your emergency fund in most cases. They aren’t the same thing, and shouldn’t be mixed together. With that being said, you should place the money in an account that you won’t be tempted to dip into either. For this reason, an online savings account might be the best option. Related: How We Saved An Extra $532 a MONTH! You’ll have access to the money, but you won’t be able to quickly transfer it in and out of your checking account to cover for the times you bust your budget. The best thing about online savings accounts is that most offer a pretty good interest rate. These accounts will hold your money in a safe place until you’re ready for it, and you’ll also get a nice little kick of interest along the way. Win-Win! The funny thing about plans is that they rarely go the way we expect. Your sinking fund isn’t any different. You may need the money earlier than expected, or later. You may need more money than you thought, or less. It’s going to be fluid and some adaptation will be required. If you’re saving for an updated vehicle and it occurs before your sinking fund is fully funded… what do you do? You either buy less car, or you use your sinking fund to make the necessary repairs to keep the car running. What you don’t do is take on new debt. Accruing debt isn’t ever a Plan B, and it doesn’t matter if it’s at 0% interest. Taking on new debt is a result of some extreme extenuating circumstances. Creating and utilizing a sinking fund for your upcoming expenses is a powerful personal finance tool. A sinking fund will not only allow you to make a potentially massive purchase in cash, it will add accountability to your monthly budgets and prevent knee jerk purchases. The power of this tool is insane. These smaller, bite sized savings goals will be easier to complete and you’ll have a feeling of success after each pay period. Those emotional wins will be pivotal along the way. Remember, even the tallest mountain is climbed one step at a time and your sinking fund isn’t any different. You can do it! Are you creating any sinking funds? If so, for what and how long do you have to save? Let us know in the comments! I have a couple of sinking funds. $100 a month goes into a vacation fund. $300 a month goes into a car fund. This has the added benefit of getting me used to a car payment when (hopefully in the very far future) my 2012 Honda Civic dies. Though if I’m lucky I’ll have saved up enough by then to pay outright. And perhaps the one I’m most proud of (though I totally stole the idea from my mom) I have a washer/dryer fund that is funded each time I do a load of laundry. I transfer $2.50 into the account with each load. We used to do a lot of laundry when I was married, so I have about $1,100 in the account. I’m down to doing just one load a week (hopefully that extends the life of the decade-old machines) so it probably won’t get boosted up too much further. But still it’ll really help defray the cost if/when both machines die. I LOVE that washer/dryer idea! !